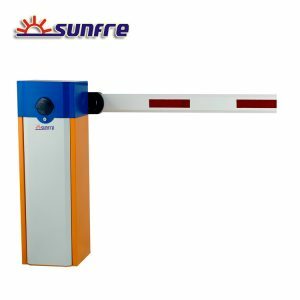 Barrier Gate named boom gate, boom barrier, is an access gate mainly for vehicle management in parking lots, factory gate, neighbourhood gate, highway/freeway access, public place access control. 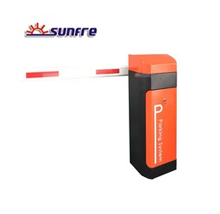 It can be controlled by remote controller, or wire control it to open and close, and can be controlled by parking management control system with IC/ID card, RFID long range system or car licence/plate recognition system, so it can be controlled automatically. Barrier gate has straight arm, folding arm and fence arm. And straight arm can be up to 8 meters(20ft), while folding arm has 90 degree folding barrier arm and 180 degree folding arm. Fence gate has 2 fence , and 3 fence. Barrier gate running speed from 0.6 seconds to 6 seconds. Speed faster than 1.5 seconds belongs to fast speed gate. From 2 seconds to 4 seconds speed is medium speed gate. Speed more than 4 seconds belong to slow speed gate. There are mainly two kinds of arm brackets. 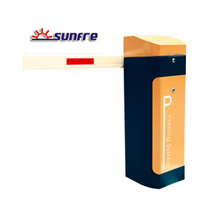 One is specially for fast speed gate, another is mainly for medium speed and slow speed gate. 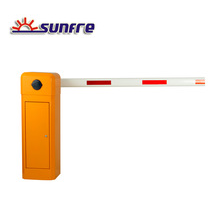 For the fast speed gate, arm bracket should be special design for emergency. When barrier arm falls fast, if car go ahead, arm will swing out. so swinged out bracket is a necessary. For medium and slow speed gate, used for the longer arm of the barrier gate, arm bracket should fix the arm with screws, no swinged out design needed. There are different direction of traffic, left or right, so gate installation direction has left or right different. And it can be installed in left or right, and because of the two sides of the barrier housing are the same, arm comes from the middle of the gate.